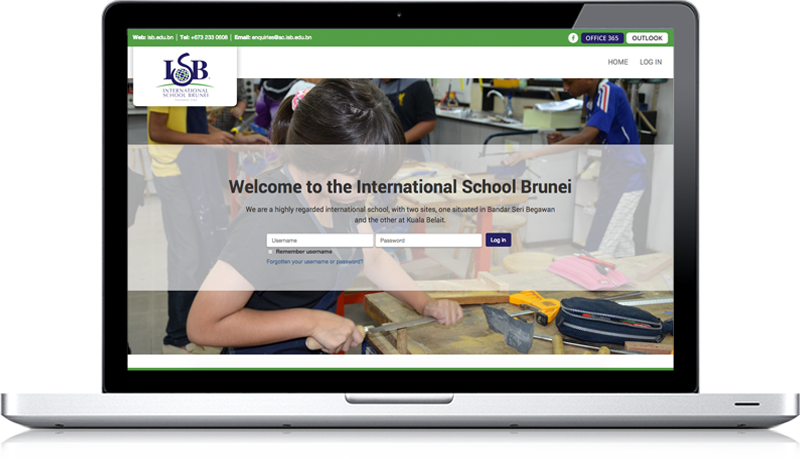 Founded in 1964, International School Brunei (ISB) is located in the Berakas area of Bandar Seri Begawan, Brunei and was the first international school to be set up in the country. The school caters for students from pre-kindergarten through to secondary education. ISB approached Titus Learning to discuss their need for an improved online learning platform as part of their preparation to move to a new, technology enriched campus. In consultation with ISB, Titus Learning designed a tailored package which would provide a complete online learning solution optimised for the needs of students, staff and parents. A need for staff to be able to access student data from outside school, allowing them to review grades and pastoral data, and write student reports from home. The ability to set up the hosting infrastructure on the school’s premises, meaning that day to day use of the platform within school would not rely on the limited bandwidth of their Internet connection. The new platform should be as future-proof as possible, with the possibility to upgrade the software and develop new features, preferably without being “locked-in” to a particular vendor. Titus Learning designed a tailored package which would address each of the school’s specific requirements, and provide a complete online learning solution optimised for the needs of students, staff and parents. Extensive Moodle theme design was carried out to make sure the site was fully responsive and optimised for use across mobile devices. Designing a bespoke theme/layout suitable for all ages, fully responsive for optimised use across mobile devices, with a focus on user experience. Setup and configuration of the Moodle platform on a school-based hosting environment, allowing optimal performance on site regardless of the limitations of the school’s Internet connection. Integration of the Moodle platform with the school’s management information system (SIMS) enabling two-way sharing of data so that teachers can access live student information and create reports off-site. Onsite training at the school’s Brunei location, to ensure all staff are confident and comfortable in the use of the new platform prior to launch. Provision of a tailored implementation plan to support the launch of the new platform and ensure adoption and engagement from staff, students and parents. An unlimited support programme, providing on-tap advice, guidance and consultancy to ISB for the life of the learning platform.